Start of the Year Contest! Hey everyone, I hope your semester is going off to a great start! 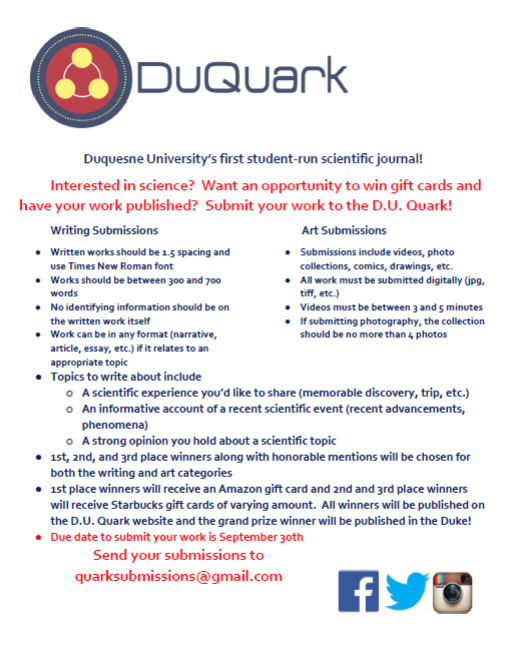 We are holding a contest for writing and art submissions, with Amazon and Starbucks gift cards as the prize! Check out the flyer for more details.